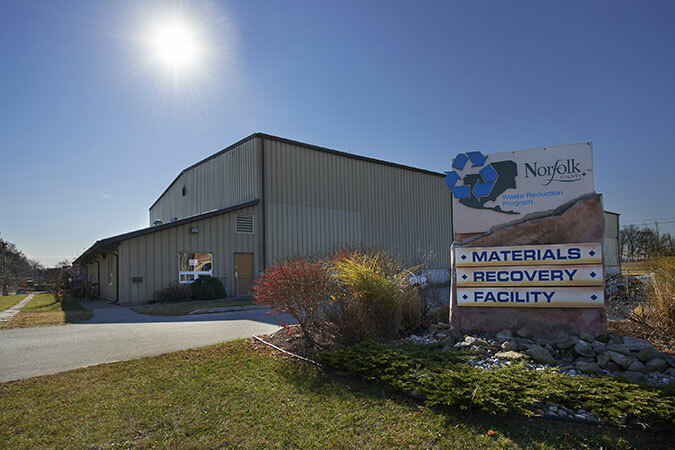 The Norfolk MRF receives the two-box curb side recycling collection from Norfolk County. If a resident has an overflow of recyclables or didn’t get their recycling boxes out for pick-up, they may drop off their recyclables at this location during regular business hours. Additional information can be located at the County of Norfolk’s website. shredded paper (only) should be placed inside a firmly-tied plastic bag or a paper bag with the top folded or rolled down, and placed at the curb beside the recycling boxes. Large quantities of shredded paper should be placed in a firmly tied, clear plastic bag and set beside the boxes. cardboard spiral cans with metal bottoms, e.g. for frozen juice, dough tubes, baby formula, potato chips. Norfolk resident may purchase rain barrels and compost containers at the MRF during business hours. Cash only.